Consider these blockbusters: Jurassic Park , The Flintstone Movie , Land Before Time , and Night at the Museum . Some are pure silliness; others, dramatic cinematic masterpieces. And yet they all have one thing in common: dinosaurs. Dinosaurs dot the pajamas of toddlers, dictate the ceiling heights of billion-dollar museums, and employ some of the world’s leading scientists. In other words, they’re a diverse bunch. As such, a dino theme can’t be put in a box. 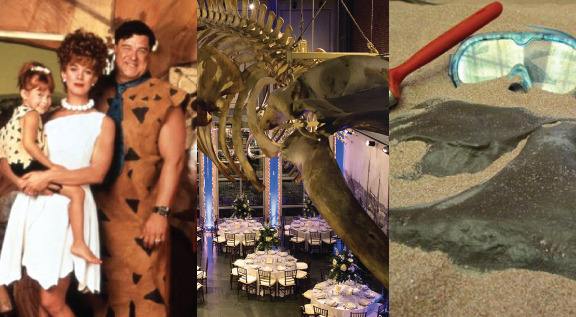 Instead, here are four very different approaches to bringing prehistoric times to your next party or event. Let’s start with a charming, barefoot couple named Fred and Wilma. Flintstone, of course. The Flintstones present a more human spin on the dinosaur theme: coexistence. 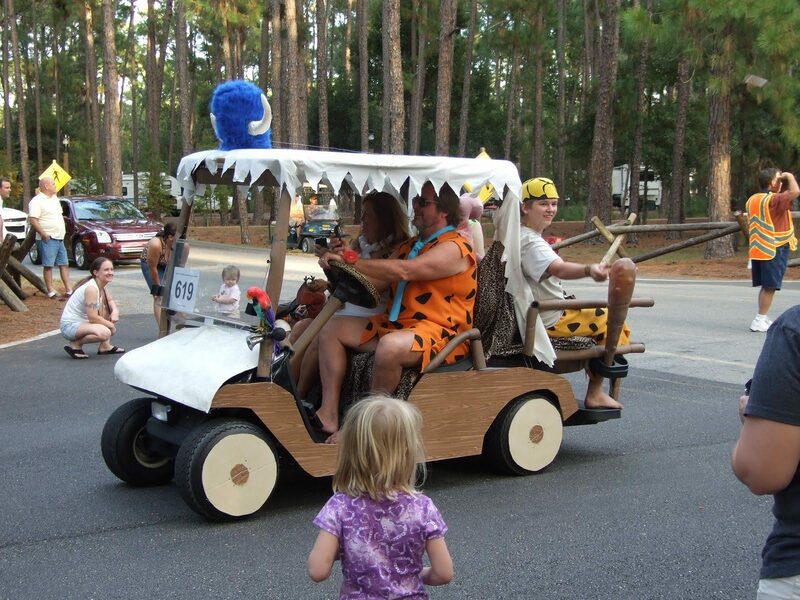 Make a Flintstone car out of a golf cart to shuttle guests from the parking lot to the grand entrance. Take a page from the 1994 live-actor movie and hit the dance floor at Cavern on the Green! 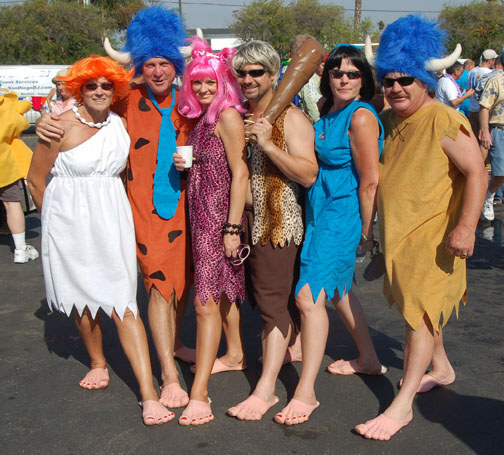 It ain’t a Flintstone Party if your guests are wearing shoes. “But what if my toes get stepped on? !” “That’s so germy!” Worry no more, Fred. How’s this for a party favor? Barefoot covers for your bare feet. Looking for a classier way to incorporate dinosaurs into your evening? Host a night at the museum! 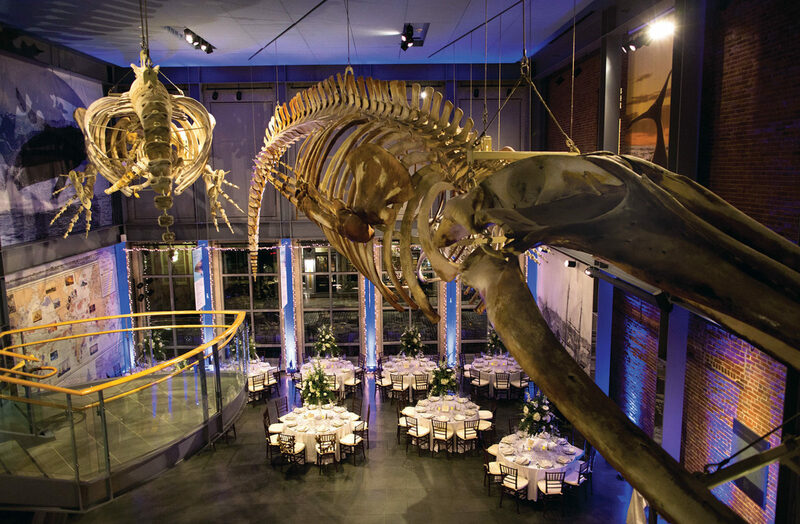 Many museums host private events, and often have turnkey options for catering, tables, and chairs. After all, nothing can beat an evening under a real tyrannosaurus rex skeleton. Dallas’ Perot Museum knows how to have a sense of humor. Yes, that’s a platter of shrimp in front of a prehistoric relative. The other benefit of hosting an evening at a museum? The infrastructure is hard to beat. Here, the UK’s Museum of Natural History, lit up for a private party. 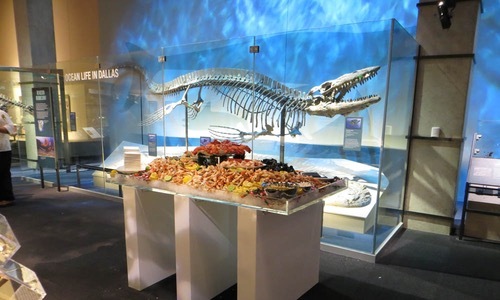 If Bedrock is too light hearted, and the Smithsonian too lavish, this next dino party is the one for you. Consider it the “just right” porridge in the Three Little Bears . 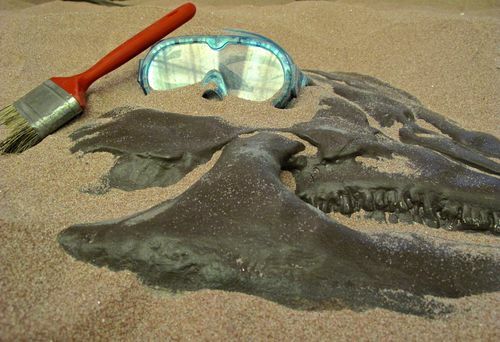 Host a dino digging shindig. A little bit rustic, a little bit outdoorsy, and a lot adventurous. That’s your assignment for a Paleontology-themed event. That’s a statement piece. 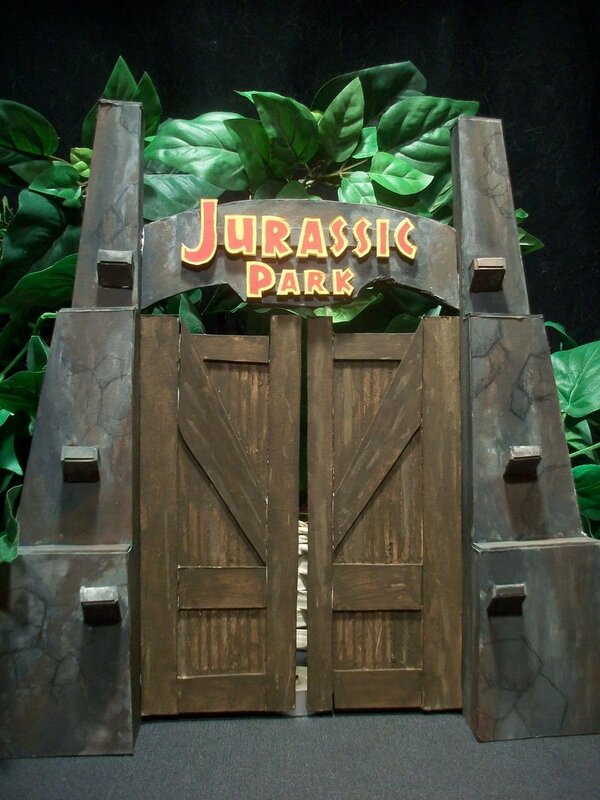 Recreating the entrance to Jurassic Park is easier than it looks. And yes, there’s a YouTube video for that. Here’s the best part of a party for wannabe paleontologists: the dig. Create a sand pit and stock it with plastic dinosaur bones, and some small prizes like gift cards. Then encourage your guests to ditch their heels and dig in!